Whether we like it or n ot, we’re all pretty familiar with the supermarket scene and from the facial expressions of most shoppers, the mode is: “grit teeth and get it done”. That’s why employees who have a cheerful, welcoming disposition and a smile to share are valued so much by supermarket managers. Luke who was supported into employment by Catapult was one such employee. So, when after years of employment some difficulties arose, the management sought Catapult’s assistance to resolve them. Luke had been involved with a particular consultant here and supermarket management thought he’d be comfortable talking with him. Also, because the management had had contact with the consultant they knew that he understood the requirements needed to fill the job. Post-placement employment mentoring is part of Catapult’s ‘knitting’: we know that one of the most important assets a business has, is its employees, so we’re ready to do what we can to ensure the employment process goes smoothly. After a couple of chats with Luke during which it became clear just why the problems had developed, the consultant and Luke met together with the supermarket manager and talked over some options. 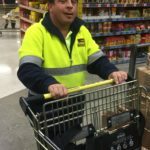 The outcome was that Luke’s working hours were adjusted to suit his lifestyle better, in a less physically demanding role than the previous trolley work and away from the vagaries of the weather. 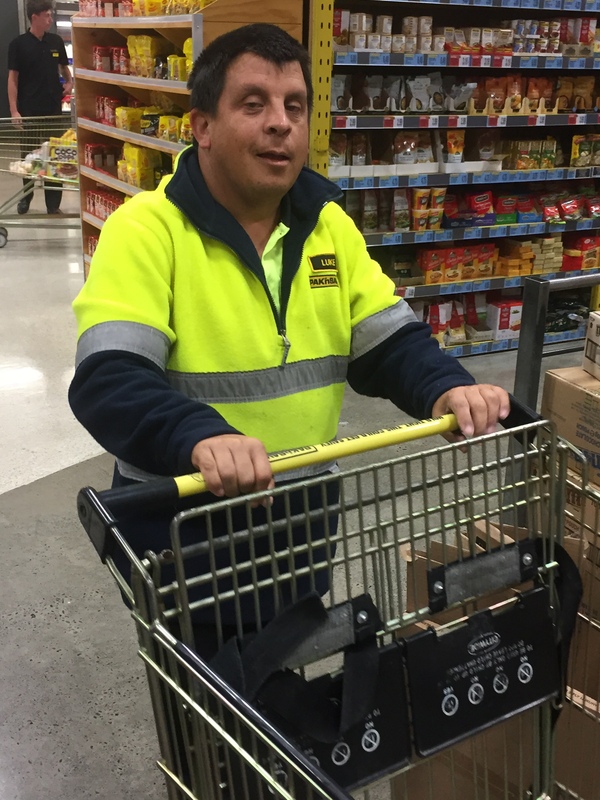 What didn’t change was his positive interaction with customers: his broad smile and friendly manner.